Our software offers a complete solution for bowling league management on the web. Because it is on the web, you don’t need to install any software on your computer and there is no costly initial purchase. All statistics are instantly available online as soon as the administrator enter the scores. Never worry about your backups. We do the work for you. Buy a package of five leagues or more then treat yourself the multiple administrators mode. You will be able to share the management of your leagues with one or more other administrators. Additional administrators will only see the leagues that they are assigned to. Our application is available 24 hours a day, 7 days a week. Our interfaces are user-friendly. They were designed by software experts with nearly 30 years of experience. Making it a unique product where the learning curve is short, unlike other complex and confusing software. Score entry is easy and fast. Your recap sheets are created automatically based on your schedule. 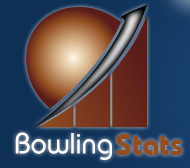 Simply enter the games and BowlingStats will move automatically to the next bowler. We can create your own customized weekly report for you at no cost. Contact-us for more details. All you need is internet access and your favorite browser. Furthermore, you don’t have to worry about software installation and maintenance. We have access to your data at all the time. So it is easy for us to help you to set up your league or solve all your problems. We offer very fast and efficient free email support for the duration of your contract. There are many ways to categorize and view your stats, such as the cumulative teams, men, women, substitutes and high scores. Several statistics and charts on bowlers, teams and the league are offered. So you can analyze your performance at any time of the season. You can use your own Microsoft Excel file for your weekly report or choose from existing templates. Several other reports are available such as the list of bowlers and teams, schedule, recap sheets, rules and many others. Your standings are fully customizable. Over 500 statistics available, you choose which ones are best for you. Define their sort order by selecting up to three sorting keys successively. You can create up to five new statistics and add them to your standings. For example, cumulate the 69, 111, amount due, or other statistics that only your league uses. Everytime you enter your scores, this data will be requested. Choose from several automated methods for calculating how your teams and bowlers points and handicap will be calculated on your recap sheet. You can even enter them manually if you wish. You have the ability to split seasons into two parts and to add a postseason with different calculation methods. Prepare your recap sheets before the match and distribute them to your teams. Automatically generate your schedule. Enter the start date, number of weeks and that's it. You can even customize it. We support inter-center leagues. This mode gives you access to several new statistics for your weekly report. You can also build and print your calendar according to your centers and lanes. Each bowler in your league can add their own photo. 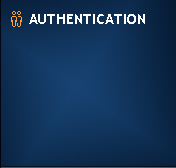 All they need is an access code given by the administrator.